Shooting Star Children’s Hospices supports life-limited children and their families – and those families include over 1000 siblings. Having a brother or sister with a life-limiting condition, or being bereaved, often puts huge mental pressures on siblings. Shooting Star Children’s Hospices siblings groups are a way for siblings to explore their feelings and emotions and when the time comes, to work out how to grieve. In February, a group of supported and bereaved teenagers from both Shooting Star Children’s Hospices went for a day out to let off some steam and have some high speed fun Go Karting at Surbiton Raceway. 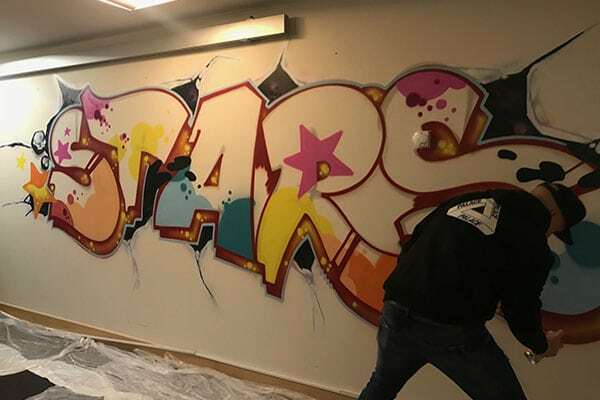 Shooting Star Children’s Hospices siblings’ days are built around therapeutic activities, as well as having fun and making friends with those in similar circumstances. The days also allow children to explore their own interests and express themselves in a variety of ways. The teenage siblings group is for young people between the age of 12 and 18 years. It’s important to have a separate space for Shooting Star Children’s Hospices supported young adults and their siblings to be able to enjoy their favourite things. Both hospices have such spaces providing a perfect environment for them to be with their peers, play computer games, listen to music and simply hang out.